The Tax Cuts and Jobs Act was big news when it was signed into law in December of 2017. But once the furor died down, some confusion ensued about exactly what changes had made the final bill—and how those changes would affect individual returns as part of the regulations themselves. The IRS released guidance over the ensuing months to add clarifying details and fine-tune language. And while there are many opportunities available to you, they often require advanced planning and strategy to make sure you can claim all benefits available to you. So with tax season just around the corner, it’s important to contact us now, BEFORE the end of the year, to start your tax planning! Here’s a rundown of the changes affecting individual returns and what they could mean for you. 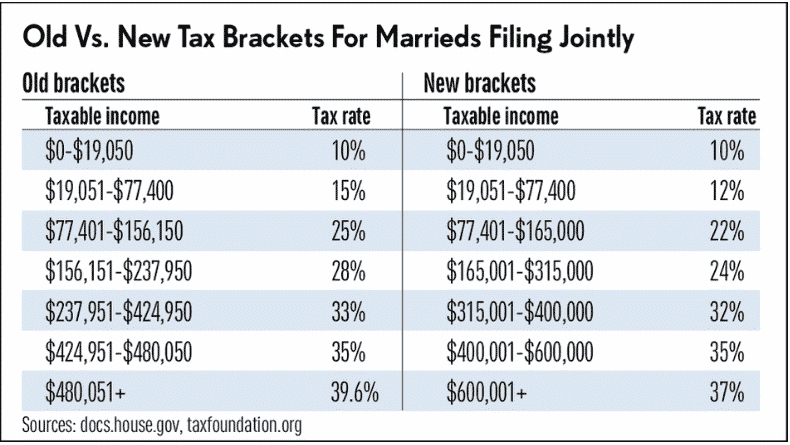 The following tables detail the old and new tax brackets. 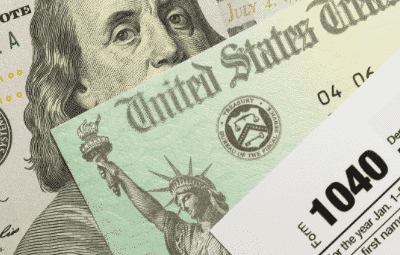 The standard deductions on individual returns have risen to $12,000 for a single filer (or those married but filing at the single rate), $18,000 for head of household, and $24,000 for married filing jointly. The child tax credit has increased from $1,000 to $2,000 per child. 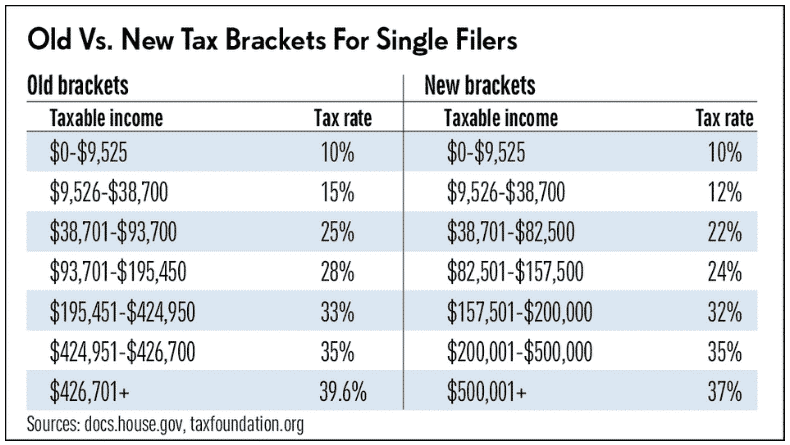 The phase out point (income level at which filers cannot claim this tax credit) has also increased to $200,000 for single parents and $400,000 for married couples. Here is where you will see some of the biggest changes in individual returns, because most personal exemptions have been completely repealed in exchange for a higher standard deduction and expanded child tax credit. The new law also eliminates miscellaneous deductions subject to the 2% rule, such as investment fees and expenses, tax preparation fees and unreimbursed business expenses. In addition, deductions for state and local taxes (including real estate and income taxes) are capped at $10,000. That said, some itemizations remain intact. You can still deduct a portion of charitable contributions from your individual return; in fact, the amount has increased to 60% of your income (it was previously 50%). You can also deduct the interest paid on mortgage interest paid on loans of up to $750,000; if the debt was incurred on or before December 15, 2017, the previous limit of $1,000,000 is grandfathered for your mortgage. The individual AMT has been retained and exemption amounts have increased to $109,400 for joint filers and $70,300 for single filers. Additionally, the phase-out thresholds for the AMT have increased to $1 million for joint filers and $500,000 for all others. Dependent children who receive earned or unearned income are no longer subject to their parents’ tax rate. Instead, earned income (wages) will be taxed according to rates for single filers, while unearned income (interest, dividends and capital gains) will be taxed as the rates applied to trusts and estates. Beginning in 2018, the exemptions for estate and gift taxes, as well as the Generation-Skipping Transfer Tax, increase to $11,200,000 (and adjusted for inflation) on individual returns. While most of these changes result in tax savings of varying degrees, almost all of them are temporary. The new tax brackets, the increased standard deduction, the bigger child tax credit… those and more are scheduled to sunset after the 2025 tax year. With this caveat and the myriad of fine-print details involved, these changes aren’t as cut and dry as you might think. That’s why we recommend that you contact our individual tax CPAs now, before you start preparing your 2018 individual return.